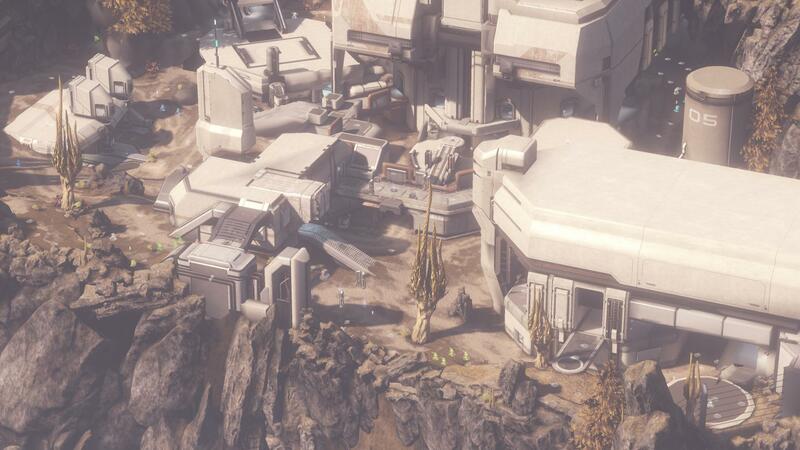 The recent Halo Bulletin mentioned that the multiplayer map Complex will be doing some shifting around – and when the music stops it will be in Big Team Battle as opposed to it’s point of origin, Infinity Slayer. I’m interested to see how this move goes down – as a 4v4 it did seem just a tad too big, but as 8v8 will it get a little crowded? Like I said – looking forward to how it plays out. I love that the maps are versatile enough to handle a change like this, or at least that we get the chance to see if they do.